NOTE: THIS PART IS AN “ADD-ON” PIECE FOR OUR MINIMA AND MAXIMA FRONT BUMPERS. IT IS NOT A STAND-ALONE PART. Front hitch adapter for bike racks and cargo carriers. 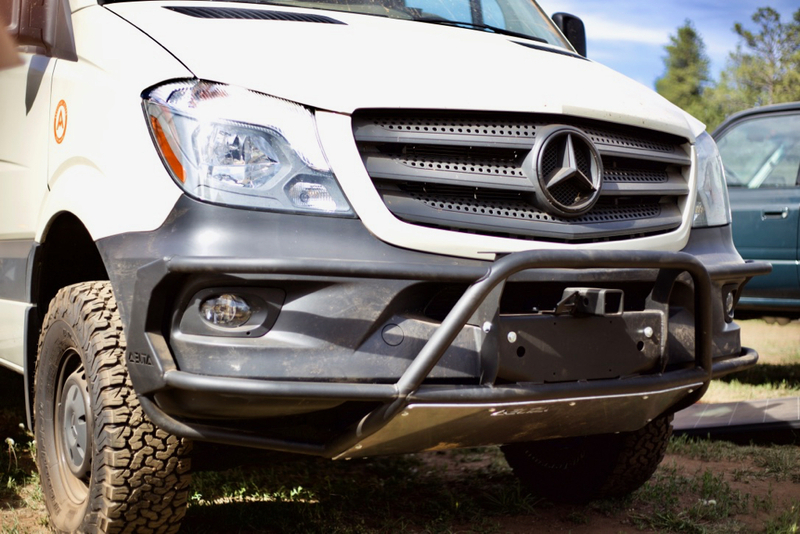 Fits the 2WD & 4WD Sprinter van front bumpers.